New Year festivities also draw revellers, many who are lured by the fantastic nightlife. Since Riga is rapidly becoming clogged with tourists during the summer, you might consider getting out of the capital and exploring the regions, along with its wide range of affordable ecotourism opportunities. Visiting the country during other seasons is another option. From October to March, Riga streets are reclaimed by locals, prices go down, and cultural events heat up. For outdoor enthusiasts, Latvia offers a host of inexpensive winter sports options. May is often warmer and sunnier than June, and is the season of smiles and stolen kisses in the park. Nature explodes in Latvia at this time of year, with fresh new leaves uncurling on the trees, riotous blossoms racing across the countryside, and storks coming home to roost. Although the beer gardens are usually up and running by this time, hotel prices remain at off-season rates. Country lodging also operates at off-season rates and cottages are easier to reserve at short notice. Lakes are often warm enough for a quick dip, particularly after a session in the sauna. In short, spring is a great time for a trip! See also: Hotels in Latvia , Ecotourism, Spring blossoms photo gallery. In summer, the most popular destination for tourists and locals alike is Jurmala, a string of villages running along the sandy Baltic coastline nearest Riga. Trains and buses run from Riga to Jurmala regularly, and the trip takes approximately 20 to 30 minutes. Although June is often cool and rainy, it is an excellent time to visit if you wish to experience the largest holiday of the year: the midsummer celebration. During this time, Latvians take to the woods for a night of dancing and singing, as they drink beer and eat cheese around bonfires to celebrate the solstice. The weather in July and August is usually the warmest. Sometimes the temperature can even get hot, with water temperature reaching 23 degrees. However, keep in mind that Latvia is somewhat distant from the equator, so even summer nights can be quite chilly. Rapid weather changes may also occur during the day. Black clouds can cover a sunny sky quickly, and rainy afternoons may turn into warm evenings. Always remember to take an umbrella and a jacket with you, and dress in layers so you can soak up the sun when it comes out and cover up when it disappears. Latvia’s most important festivals and concerts take place in summer. Although the largest festivals occur around Riga, almost in every Latvian town hosts local celebrations– see “Holidays in Latvia”. Also, a variety of music or art festivals and outdoor operas take place in romantic castle settings. For the opera, bring a bottle of wine and a sweater. In summer, Riga and Jurmala hotels fill up quickly, so you should book rooms well beforehand. Increasingly, country cottages are also filling up, particularly during the midsummer season, so it is best to book in advance if you wish to stay in the prime places. See also: Hotels in Latvia , Ecotourism. Autumn in Latvia is long and beautiful. The leaves fall slowly and remain colourful until the end of October (see our gallery “Autumn in Riga”). 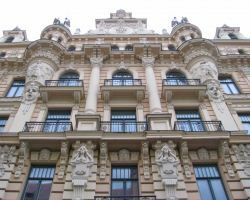 Latvia usually experiences an Indian summer in September and into October, with warm sunny days and crisp, cool nights. Autumn is also the time of the harvest, with a bustling organic market cropping up in Riga, and a wide variety of fresh, local foods in restaurants. Prices start decreasing as the tourists thin out around the beginning of September. Sigulda is a must-see destination in autumn, as it borders the Gauja National Park and overlooks the Gauja river valley, which is stunning in its autumn colors. 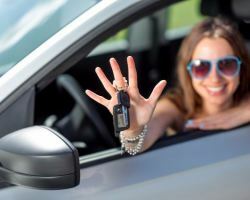 Cars may also be rented affordably for scenic country drives, and cool nights can be warmed up in various countryside saunas. You may also stay on eco-friendly or biological farms, where you may partake of clean air, fresh food, and soft beds. See also: Car rental, Ecotourism and Tourism in Latvia. It is becoming more popular for travellers to ring in the New Year in Latvia. At this time of year, Riga becomes a magical Christmas fairytale. Wooden Christmas markets sell hot cups of mulled wine along with handcrafted souvenirs. The medieval buildings of Old Riga become covered with snow, and warm taverns fill up with cheerful people. Latvia is a nation full of theatre-goers and Riga theatre, opera, and ballet are at their very best at this time of year. Tickets are quite affordable. A cheaper seat at the opera is approximately the same price as the cost of a movie. Also, Riga’s theatrical scene is eclectic. While there are some traditional options, such as the pre-requisite Christmas Nutcracker, Riga offers a host of avant-garde performances, which fuse ballet, tango, rock and classical elements into fresh new forms. January and February are the snowiest months, and the best time for winter sports. Unlike in Riga, where snow generally doesn’t stay for long, Latvia’s ski resorts are always white and festive. Most ski areas also offer cosy cottage rentals at excellent rates. Sigulda, apart from being the closest ski resort town to Riga, and accessible by a short train ride, also offers an exciting ride on its bobsled track. Riga, as well as many other towns, provides open-air ice skating during the winter season, and cross-country skiing through quiet forests and over rolling country hills is a national passion. 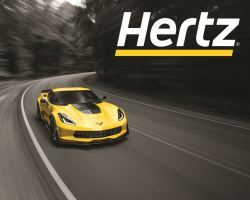 Hertz is the world's largest general use car rental brand, operating from approximetely 8.000 locations in 145 countries worldwide. We offer small, compact and the medium class passenger cars, minivans and minibuses. 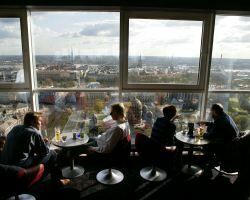 Skyline Bar, located on the 26th floor of Radisson Blu Latvija Conference & Spa Hotel is a perfect place where to get all of your senses elevated. 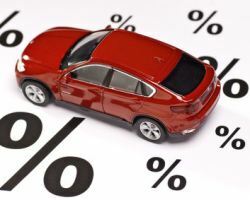 Оur experience in the car hire and transportation bussiness is more then 7 years.